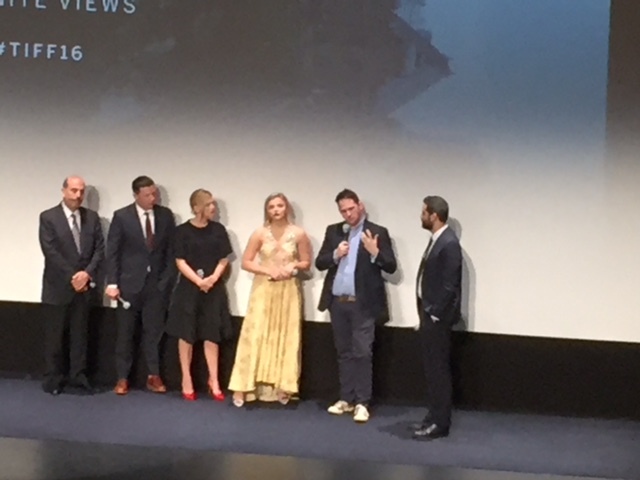 The 2016 Toronto International Film Festival has since ended, but while it was on, I was privileged to attend the movie BRAIN ON FIRE directed and written by Gerard Barret, produced by Charlize Theron, and starring the beautiful and very talented Chloë Grace Moretz. As a speech-language pathologist who has dealt with many clients over the years with various acquired or inherited neurological conditions, nothing prepared me for the impact that this movie had on me. The movie is based on the 2012 New York Times best seller titled: Brain on Fire: My Month of Madness. It is the autobiography of Susannah Calahan, a New York Post writer who developed a life-threatening autoimmune disease called anti-NMDA receptor encephalitis that caused her catatonia, communication failure and severe physical deterioration. Anti-NMDA receptor encephalitis is a disease occurring when antibodies produced by the body’s own immune system attack NMDA receptors in the brain. NMDA receptors are proteins that control electrical impulses in the brain. Their functions are critical for judgement, perception of reality, human interaction, the formation and retrieval of memory, and the control of unconscious activities (such as breathing, swallowing, etc. ), also known as autonomic functions. The “fire” in Susannah’s brain and the struggle the family experienced because of numerous misdiagnoses and the frustration in dealing with the medical system were very painful to watch. There were many take home messages for me, including the importance of the medical AND rehabilitation fields to always use critical thinking to look at things in many different ways and from many different angles, to LISTEN to the patients’ families, and to continue to search for answers to often very confusing patterns of behavior. It was an excellent, thought-provoking movie that sheds light on a rare, complicated disease that is not easily diagnosed and the struggles of one family to find the answers. Written by Jeanette Podolsky, Clincal Manager, The Speech Therapy Centres of Canada Ltd.